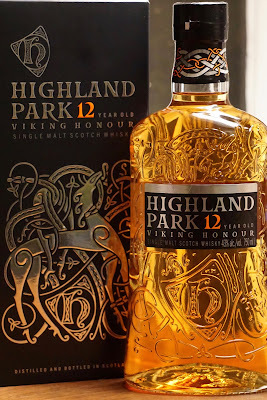 Highland Park 12yo (43.0%): I thought I reviewed Highland Park 12yo years ago on this blog but apparently I was wrong... Well, let's do it right now then. By the way what in the world does "Viking Honour" mean? Is it something new? I checked their website right away and it looks like 10yo and 18yo received a new name as well. Must be something they added after they revamped the core range... Anyway, although I lost track of their limited releases and one offs at this point I like Highland Park's core range in general. 18yo is still one of the best official distillery bottlings in the market. I do miss the old 21yo but I have to admit that I never could afford a full bottle anyway. 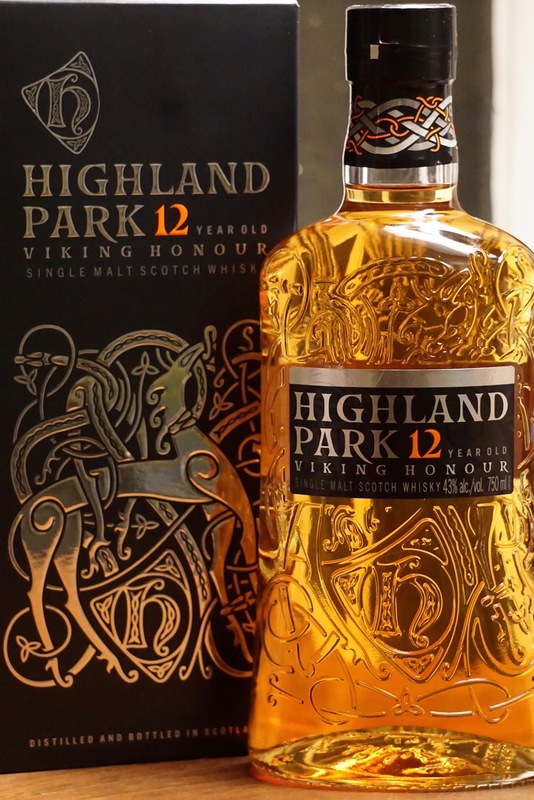 On the other hand Highland Park 12yo has been always one of my favorites since early 2000s with its price/value ratio and today thanks to a dear friend and colleague I have a brand new bottle on my desk to celebrate a very successful opening of a show we both worked on very hard and for a very long time. Color: Deep gold with impressive legs. Nose: Grassy, citrusy and tart. Fresh lemon juice, lemongrass and orange pound cake. Touch of smoke, touch of sulphur... Airing helps a lot to get rid of some sulphury off notes. Cookie dough, jonquils and dried papaya slices. That's about it... Adding water doesn't change a lot just thins out the texture. Palate: It is usually opposite but in this case I am enjoying the palate way more than the nose right now. 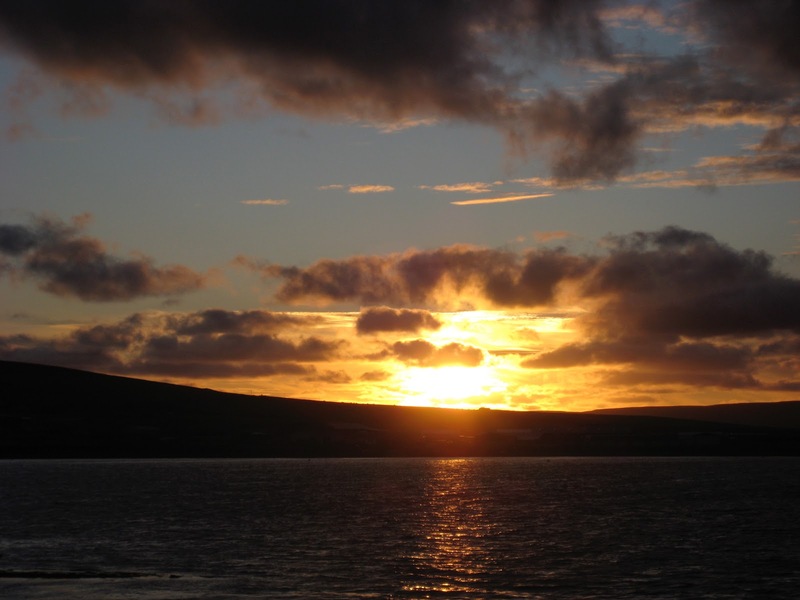 Pineapple slices, slightly more pronounced peat and wet thick wool. Cookie dough, jasmine tea and peach..! Yes, very dominant peach notes all over the palate... Canned peach halves, peach iced tea and cold apricot compote. Some very young malt whisky notes which I kinda liked but also surprised by. I wonder if they have some second fill barrels in the vat. Finish: Long with mixed stone fruit compote and green malt.